While working with concrete and looking for perfection, a regular drill may not give the best results. It may be a tedious process too which may force a user to explore other options. In this case, getting the best rotary hammer drill for concrete may play to your advantage and get the job done seamlessly. 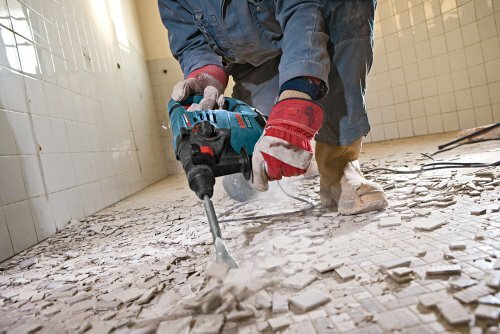 In this review, expect to read more about our top five rotary hammer drills that you can use to work on your concrete tasks. You will also get to learn about our editor’s choice, budget, and best value rotary hammer drills. 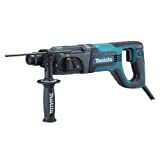 Our editor’s choice for the best rotary hammer drill for concrete is the Makita HR2475 1-Inch....With a powerful 7-Amp motor that delivers 0-1,100 RPM and 0-4,500 BPM, the tool is ideal for extremely demanding applications. The Makita tool also features a 40-bit angle setting which allows the user to set the bits at different positions to fit their specific applications. Optimum concrete capacity range (concrete drilling): 3/16” – 1/2"
Field core interlocking steel laminations. Three mode operation (rotation only, hammering with rotation, hammering only). 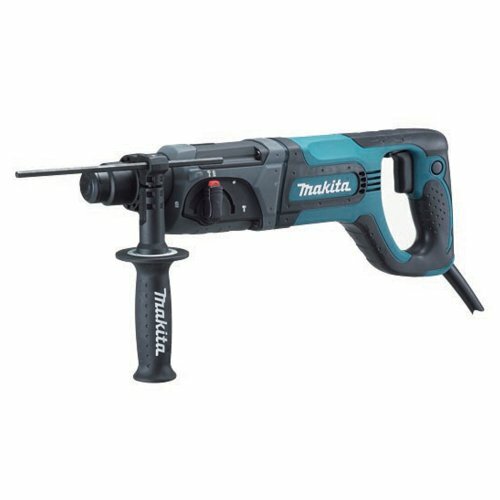 The Makita HR2475 1-inch rotary hammer is designed for people looking for perfection. This is thanks to its 7-Amp motor that delivers a no-load speed of 0-1,100 RPM. The tool also features interlocking steel laminations, additional copper commutator bars, and dual-ball bearing armature. These features ensure it guarantees efficiency and energy transfer. The product also features an ergonomic and well-balanced design which guarantees comfort and ease of use. The rubberized D-handle and soft grip handle ensure the tool is comfortable to hold and use. The tool also boasts of a versatile design for a myriad of applications. It’s also designed with longer and extended life brushes which ensure less downtime and more work in between service intervals. The rotary hammer also features a lock-on button which ensures continuous use. With three-mode operation, the tool is designed for multiple applications. Fitted with a powerful motor. Ergonomic, versatile, and well-balanced design. Fitted with vibration control mechanism. Only accepts SDS bit types. 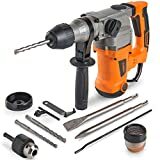 The VonHaus electric rotary hammer drill promises high performance for both professionals and DIYers. This is thanks to the powerful 10-Amp motor and speeds of 0-850 RPM that guarantee enough energy to complete heavy-duty concrete tasks. The tool also features three function modes which means the user has the freedom to change to the most effective mode depending on the application. With a 360-degree swivel handle, the tool promises comfort and maximum control to the user. The product also boasts of a variable speed control mechanism. This ensures it remains in power and the operator remains in control regardless of the job. The product is also designed with an anti-vibration mechanism as well as an auxiliary handle. The feature ensures to give the user added ease of use. In addition, the tool supports both the SDS and SDS-Plus bits and comes with an extra chuck for regular bits, up to 30mm. These features ensure the tool is incredibly versatile and usable for multiple applications. Includes an SDS-Plus drill demolition kit. Compatible with both the SDS and SDS-Plus bits. Impact energy/EPTA (ft. lbs. ): 2.6 ft-lbs. 3-in-1 multifunction selector (rotation only, rotary hammer, hammer only). The Bosch rotary hammer would be an idea tool for anyone looking for performance and perfection. This is because the tool is designed with a power-to-weight ratio that ensures maximum performance per the need. The tool is also designed with a two-step vibration control mechanism which ensures the user enjoys optimum comfort. The Bosch product also features a three-mode selector which enables the user to switch to the right power for the job at hand. The rotary hammer also boasts of an 8-Amp motor that delivers speeds of 0-900 RPM which ensures better control and accuracy in bits. Also, the tool features an integral clutch which helps minimize the torque reaction. The product is also designed with a 360-degree auxiliary handle which enhances flexibility. The bit may be a bit wobbly. Build-in LED light indicators for illumination. The Makita XRH05PT rotary hammer is a battery-powered tool that promises power and run time for corded and cordless demands since it’s powered by two 18V batteries. The user, therefore, need not worry about power loss while working. The tool is also powered by fast-charging batteries which means they spend less time charging but more time working. The Makita product also features computer controls that analyze tool and battery exchange data. This ensures the batteries are monitored and protected from over-charging, overheating, and overloading. The tool also features a 1” drilling capacity, no load speeds of 0-1,250 RPM, and 0-5,000 blows per minute. The features enable the tool to produce enough exchange of power and performance for great results. The product is also designed with a 3-mode functionality. This allows the operator to switch the modes at will to fit the needs at hand. Also, the product has one-touch sliding chuck and torque limiting clutch mechanisms fitted to prevent gear damage. This is done by automatically disengaging the gears if the bit binds. In addition, the tool is designed with comfort in maximum consideration. This is enhanced by the vibration-absorbing handle, compact design, and lightweight. For anyone who is dust conscious, this tool may be ideal. This is because it’s fitted with a dust collection mechanism and the user can fix a cup or other containers for it. Large 2-finger trigger for increased comfort. Compact, ergonomic, and lightweight design. Auxiliary handle would do better if it was rotating. Battery and charger have to be purchased separately. Max. hole diameter (in wood): 3/4"
Max. hole diameter (in steel): 1/2"
Impact energy/EPTA (ft.lbs. ): 2.0 ft.lbs. 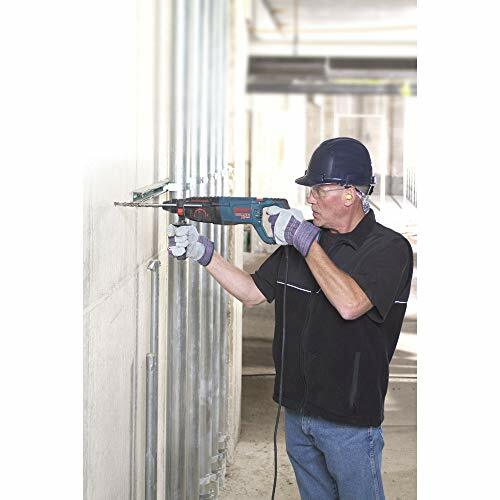 The Bosch 11255VSR rotary hammer is fitted with an 8-Amp motor that delivers 2 Ft.-lbs. impact energy and speeds of 0-1,300 RPM and 0-5,800 BPM. This translates into maximum power to match every application. The Bosch product also features three modes of operation, a rotating chisel lock, and D-handle. These features ensure the product is more convenient to work with. The rotary hammer also features a Vario-Lock position which rotates and locks the chisel thereby optimizing the working angle. Also, the tool offers accurate bit starting thanks to the variable-speed trigger with reversing. If you’re not a friend of dust, the tool is designed with you in mind. It features a Bosch PRO+GUARD dust collection system which helps the user to get OSHA compliant while working with it. The product is also fitted with a D-handle design which is ideal for overhead and downward drilling applications. Also, Bosch has installed a HammerHook on the tool which allows for quick tool storage while working. Multi-function selector for maximum convenience. Reverse feature for speed trigger. While performing drill work on concrete, one can opt for any drill hammer at their disposal. However, the most common model, one made for the tough jobs, is the rotary hammer. With a rotary hammer drill, a professional or DIYer would work on their concrete or masonry tasks without too much of a hurdle. A rotary hammer is one of the power tools used for heavy-duty tasks like chiseling and drilling hard surfaces and materials. In this case, the hammer is used to work on hard concrete surfaces. 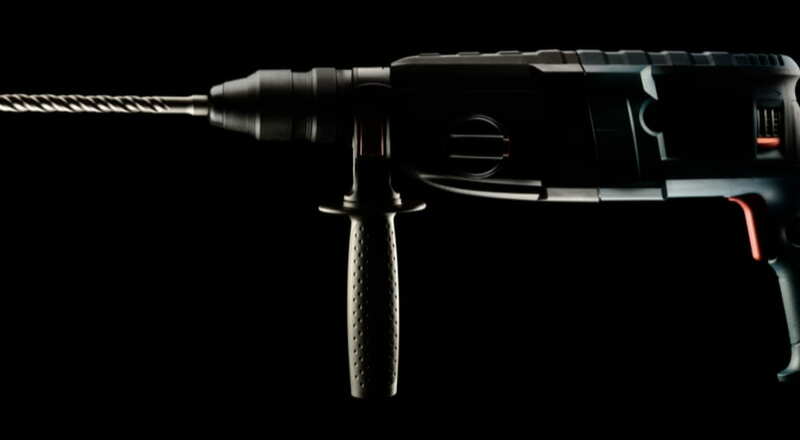 It’s closely related to a drill hammer since it also pounds the drill bit in and out while spinning. The difference between it and a drill hammer is that it has a piston mechanism as compared to the hammer drill which has a special clutch. The piston makes the rotary hammer more powerful and makes it drill bigger holes, much faster. The first and among the most vital specifications is the power of the rotary hammer drill’s motor. The power it eludes determines how it performs as well as the results. Therefore, it’s important that you consider your specific needs and use them to select the fitting tool for it. The other crucial factor is the impact energy the tool can produce while drilling your workpiece or surface. The energy rate is usually measure in ft/lbs. or Joules and determines the performance and results. While doing your shopping, therefore, it’s upon you to choose the tool you’re sure will produce enough energy for your tasks. Different rotary hammer drills use different power sources. As such, just like other power tools, there are electric and battery-powered ones and the decision to get either is determined by your needs. If your work needs higher voltage, an electric hammer would be ideal. However, you should not disregard the battery-powered ones completely since some can produce power up to 20 volts. On the same note, if you’re settling for a hammer drill that runs on battery power, you should make the right choice based on the battery types. Usually, there are two types of batteries, the Ni-Cad and Lithium-Ion, and the hammer could be fit for all or any. However, the Lithium-Ion types are known to produce more power compared to their Ni-Cad peers. A chuck is the section of the drill that holds the screw bit or drill. Depending on your needs, the chuck can be small, medium, or large. It can also be keyless, which is mostly the case. However, such decisions will be advised by the tasks that you have ahead. When it comes to operator features, they should at least be comfortable for the user. These features include handle grips, switch locks, and trigger switches. The features should be comfortable to handle as well as offer the most convenient environment for the user. Torque means the ‘twisting power’ or a drill. The higher the torque, the higher the twisting action the hammer can produce. While shopping for a hammer, you should decide ahead whether you need a higher or lower torque. The rotations per minute (RPM) and blows per minute (BPM) relate to the drilling speed of the tool. Basically, they indicate how the machine can run which translates into the performance. Therefore, it’s an important decision you have to make here depending on whether you need a hammer for low, medium, or heavy-duty purposes. 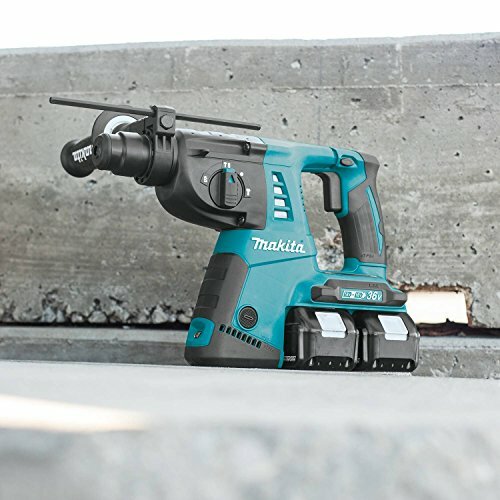 On the best rotary hammer drill for concrete, we feel the Makita HR2475 1-Inch... takes the editor’s pick position. With a 7-Amp motor, speeds of up to 1,100 RPM and up to 4,500 BPM, the hammer promises optimum performance. Also, boasting of an energy impact of 2.7 J, work gets done efficiently. If the budget is the determinant, the budget-friendly VonHaus 10 Amp Electric... would come in handy. It boasts of a 10-Amp motor and speeds of up to 850 RPM and 3,900 BPM. If you’re looking for a premium option, our best value choice Bosch 1-1/8-Inch SDS... is your best bet. It has an 8-Amp motor and 7.7 lbs. energy impact. It also boasts of speeds of up to 900 RPM and 4000 BPM, making it ideal for maximum productivity and desired results.